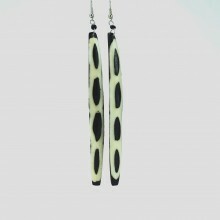 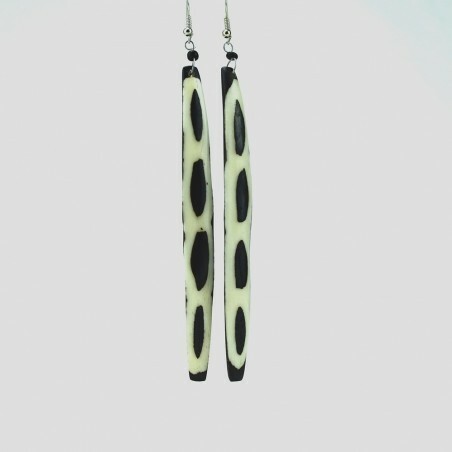 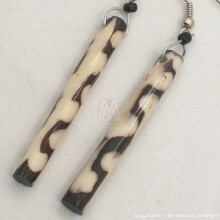 These beautiful giraffe print earrings were handmade in Kenya out of cow bone. 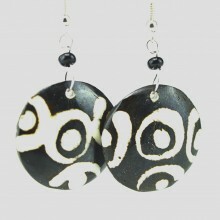 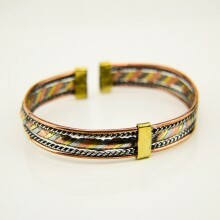 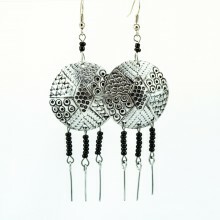 They are hand carved, polished and batiked with a mud cloth giraffe print. 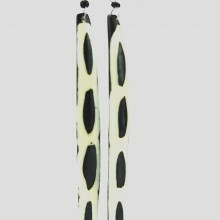 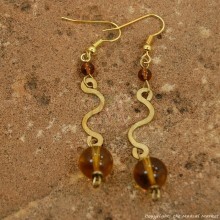 These earrings are long--over 4 inches. 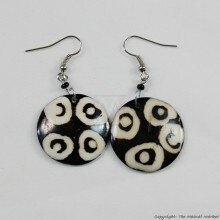 It is a tedious process to make batik print earrings. 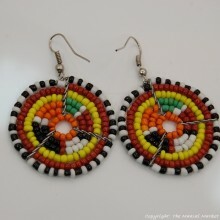 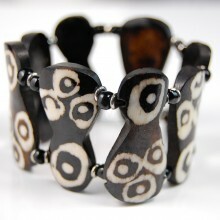 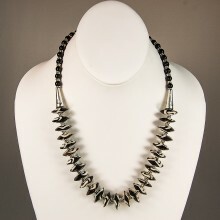 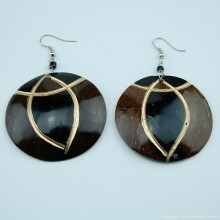 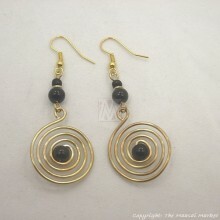 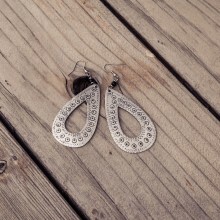 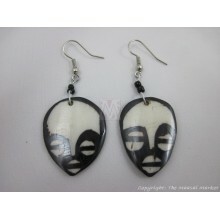 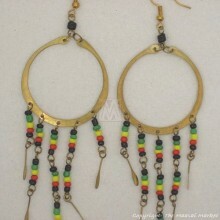 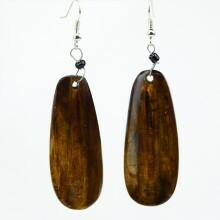 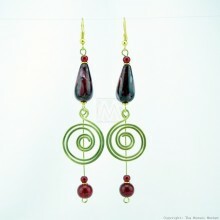 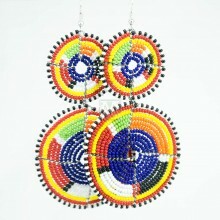 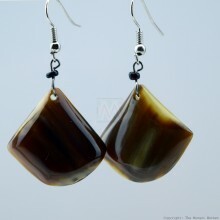 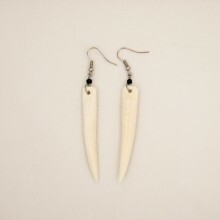 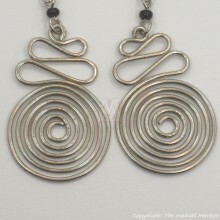 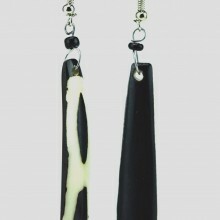 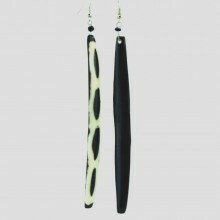 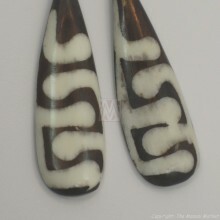 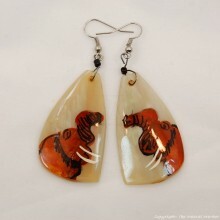 First the dangle is handcarved from cow bone to the desired shape and size. 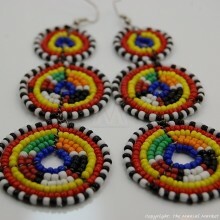 Then the print is drawn and wax is applied to the parts that are not to get the dye. 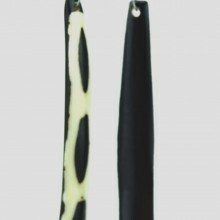 It is then dipped in the dye and, when dry, the wax is removed to reveal a unique batik print like the one on these giraffe print earrings.